Northern Territory - Gear Up & Save! 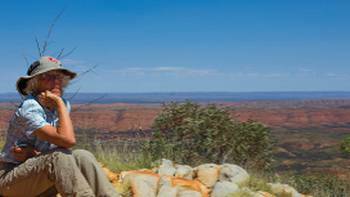 Receive a $500 Wild Earth gear voucher* PLUS Save 5% on selected Northern Territory walks. The Northern Territory offers some of Australia’s most iconic walks, ranging from the ever-changing desert landscape in the Red Centre to the ancient escarpments and waterholes of the Top End. 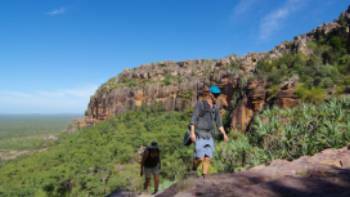 Walk through the beautiful West MacDonnell Ranges on the Larapinta Trail outside of Alice Springs on walks ranging from a 3-day highlights experience only carrying a small day pack to a full pack carrying 14-day traverse – self-guided or guided. 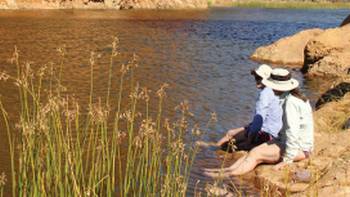 The 6 day Classic Larapinta Trek In Comfort is one of the Great Walks of Australia. Camp in swags under sparkling night skies or relax in comfort at our exclusive award-winning eco-friendly campsites with hot showers, safari-style walk-in tents and three-course meals served each day. Further north discover the Stone Country and Arnhem Land escarpment in the Top End on the Jatbula Trail and on the Kakadu Walking Adventure. Marvel at remote Aboriginal rock art galleries, walk to pristine waterfalls for a refreshing swim, spot teaming birdlife around the billabongs and learn about the area from our professional guides whilst camping under starry night skies. With more than 14 itineraries and styles, there’s a walk in the Northern Territory for everyone. Walk 9 consecutive sections of the Larapinta Trail and choose sections from 1-12 for a challenging and fulfilling desert walk. Challenge yourself to six days tekking the toughest sections of the Larapinta Trail. Valid for new bookings made between 21 January – 28 February 2019 for trips departing between 1 April and 30 September 2019. The offer is book an eligible trip and receive a Wild Earth gift voucher valued to $500 per person for the first 140 walkers. Plus every booking receives a 5% discount off the trip. Discount applicable to base tour price only and will not be applied to seasonal surcharges or supplements which will be isolated from the base price when applying the discount. Offer does not apply to private groups or specially escorted tours. Offer is subject to trip availability and trip minimum numbers being met. Offer is not redeemable for cash. 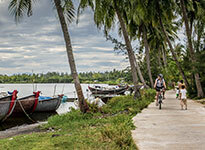 Vouchers will be issued once booking is fully paid and is 40 days out from trip departure. To redeem, quote promo code NTGEAR19 on your (online or paper) booking form.